I'm getting out of teaching and so have LOTS of gear for sale -- check it out! Dive the Cayman Islands -- April 22 - May 2, 2019 -- FULL!!! I am a long time diver who wants to help others enjoy the fun and wonder of diving. 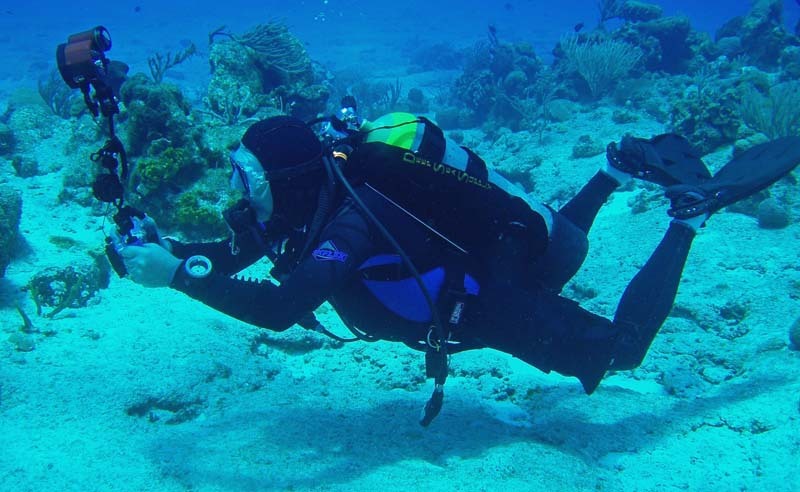 As you go through this site, you'll learn that I started diving in 1967 but just recently, after retiring from the business world, decided to get involved with the teaching of Scuba. Whether you are a Diver looking for more education, someone who is interested in learning about diving, or just someone who wants to look at pictures of the pretty fishies, I can help you reach your goal. As a child who grew up enchanted with the idea of being an Astronaut and floating in space, I found that diving was the closest I'd ever come to realizing that goal. The weightlessness of being in the Underwater World is, for me, one of the most fun and fascinating aspects of Scuba. With an extensive background in scuba diving, I am able to present relevant information based on this rich background. My thorough training and understanding of technical aspects of scuba diving have formed the basis for my teaching philosophy. I love exposing new divers to the diverse local diving sites we have in the Pacific Northwest. I'm also happy to share some great scuba diving videos and some of my pictures of the critters you might see while diving in Puget Sound. If you are in an Open Water program, click here.